GK Solicitors is a small local firm of solicitors specialising in Private Client matters with an emphasis on Elderly Clients. We also provide legal services in all aspects of personal injury law. At GK Solicitors we strive to provide the best possible legal advice to our clients and give them legal solutions tailored to their individual needs. 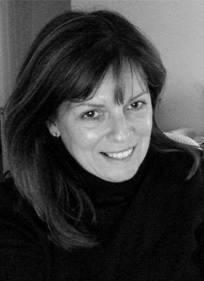 Karen Gorton founded GK Solicitors in 2010 and has been in the legal profession since 1999. Karen has worked for two major law firms in the Northwest specialising in Personal lnjury Law prior to starting up her own business. The ethos of GK Solicitors is simply that all of our clients will be treated with respect that is sensitive to their own situation. This extends to the firm's basis of how and what we charge for the work we do. We provide clear and concise estimates of the costs involved and wherever possible will work on an agreed fixed fee basis. As a member of Solicitors for the Elderly (SFE) we must also adhere to the SFE's Code of Practice when dealing with Elderly Clients. This code of practice together with our own principles ensures a quality benchmark for all our clients. At GK Solicitors we have a wealth of knowledge and skills to provide clients with consistently high quality legal services, delivering clarity and certainty from the outset. Karen Gorton is a Sole Practitioner. GK Solicitors is regulated and Authorised and Regulated by the Solicitors Regulation Authority ID 524418. Couldn't have done without her!